Traditional philanthropy has been turned on its head with a growing interest in impact investing, writes Antonia Ruffell, CEO of Australian Philanthropic Services. Australia’s wealthy are finally starting to get to grips with philanthropy. Private ancillary funds are growing in popularity and we’re seeing the emergence of more multi-million dollar gifts to charity. But, following the recent Asia Pacific Impact Investment Summit, philanthropy is suddenly yesterday’s news and impact investing is the new buzz phrase. Philanthropists’ ears are pricking up and they’re asking questions. What is impact investing and can it really work? Is it just the new kid on the block, or the answer we’ve all been waiting for? The idea is simple enough – to make an investment that delivers positive social benefit as well as a financial return. This approach is already being used to tackle a range of issues, from job creation and education to social housing, child care and clean energy. There’s widespread recognition that government alone can’t solve our most entrenched problems, and that harnessing private sector capital for social good can be a game changer. It’s something that you think would be in the DNA of charitable foundations. Private ancillary funds and other foundations are set up with social purpose at their heart and would seem to be the natural candidates for impact investing. It makes sense that you don’t want to be doing good making grants to charity on the one hand, and then reversing this impact by investing in assets that may have a negative, or at best neutral, impact on the other. But are philanthropists getting involved? And if not, why not? One of the challenges I hear from people is a sense of confusion about what impact investing actually means. Is it investment? Is it philanthropy? Or is it both? The reality is that it’s a grey area. At one end of the scale there are traditional philanthropic grants that have no financial return. On the other end of the scale, purists would argue that impact investments should offer market-rate financial returns as well as a social impact. In the middle you have slightly compromised financial returns, tempered by the knowledge that you are doing some good. Others cite a lack of impact investing opportunities available in Australia as a reason not to be involved. There’s some truth to this, but it is changing – and impact investments can take many forms. Social benefit bonds are often given as examples, as is the highly successful Goodstart Early Learning, which raised $95 million to acquire 678 childcare centres from ABC Learning in 2009 and has paid investors back their capital plus a 12 per cent return. The divest-invest movement is taking hold, with increasing numbers of foundations pledging to divest from fossil fuels and invest in clean energy. Then there’s ethical investment and property funds, and opportunities to invest in social businesses. Personally I don’t think it is helpful to get too caught up in the semantics. It doesn’t matter if you’re employing an ethical screen, willingly compromising financial returns for social good, or going all out to maximise investment returns. The important thing is that philanthropists are increasingly focusing on impact and social good beyond their grantmaking alone and across all aspects of what they do. 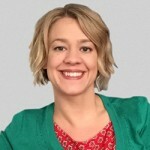 About the author: Antonia Ruffell is the CEO of Australian Philanthropic Services, a not-for-profit organisation that inspires and supports effective philanthropy. Not sure if this is in Australia yet but we started the 1st Canadian chapter, in Vancouver, of http://www.toniic.com, a global impact investment network.